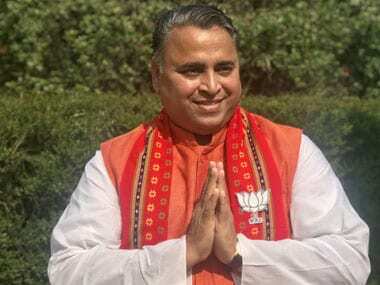 If the BJP becomes the choice of the people in Tripura on 18 February — when the state votes for a new Assembly — the one man whom the party must thank profusely is Sunil Deodhar. Looking after the affairs of the BJP in Tripura as its in-charge, Deodhar has a good record as a campaign manager. 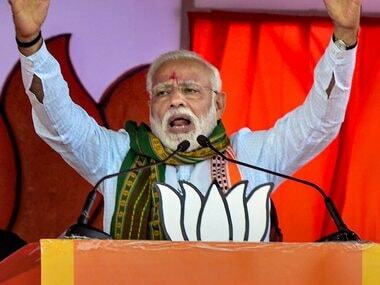 The 52-year-old, who hails from Maharashtra, was the campaign manager for Prime Minister Narendra Modi in Varanasi during the Lok Sabha election in 2014. Why do you think Manik Sarkar, the chief minister of Tripura for the last 20 years, won't win this time? I think so as he has not delivered anything to the state. Even though he has been on the chief minister's chair for the last 20 years, the percentage of people below the poverty line is 67 percent. This in itself, proves that he has done nothing for his state. When he became the chief minister, the number of registered unemployed youth was 85,000 and now it is 7.25 lakh in the state. The crime rate is high, the conviction rate is low. He is running the government for the party and not for the state. And that is why there is a strong anti-incumbency sentiment in the state against him, his government and his party. That is the main reason why I think that this time CPM is going to lose the state. Manik Sarkar has accused BJP of indulging in the ethnic and communal polarisation in Tripura. What do you say about that? He and his party started this thing (polarisation) in 1980 by throwing the state into violence between the tribal and non-tribal population. This is known to all those who understand the state. Three thousand people died in ethnic clashes between tribals and non-tribals in 1980. Tripura is a small state with a small population. Today, the population is 37 lakh but at that time it was less than 20 lakh. They are the people who create differences between tribals and non-tribals for their mean political needs. And that's why the allegations made by Manik Sarkar are totally wrong. We don't accept it because we are there only for the development of Tripura. Our motto is only development. What role is Hindutva nationalism playing out for the BJP in the Tripura election? Hindutva and nationalism are part and parcel of the BJP. Development is a part and parcel of it as well. So, Hindutva is not an issue anywhere when we contest the election. It is an ideology with which we broadly agree. We accept whatever is the judgment of the Supreme Court regarding Hindutva. Hindutva is not a religion. Hinduness is a way of life. So it has nothing to do with this election, as we are focusing on development. The CPM is trying to fool and cheat people by claiming that if the BJP comes to power, there will clashes between Hindus and Muslims. However, this is not happening in the 19 states where we are in power either on our own or in an alliance. After joining hands with NC Debbarma led faction of Indigenous People's Front of Tripura (IPFT), your party is now trying to woo National Conference of Tripura and the Indigenous Nationalist Party of Tripura (INPT). What have you promised them in return? How many seats are you giving them? The discussion is going on. The alliance is finalised. Only seat sharing is not yet finalised. There is a difference over a couple of seats where it is not yet finalised as to who will contest. The joint declaration will be published after 26 January that is either on 27 or 28 January. The BJP's candidate list will be declared on 27 January at the parliamentary board meeting in Delhi. We have kept our doors open for the INPT and other parties. We are having some discussion with them. But nothing is finalised with them. With the IPFT, it has been finalised that we are going into an alliance. Sitaram Yechury said BJP is aiming to gather all fissiparous friends and also extremist organisations. 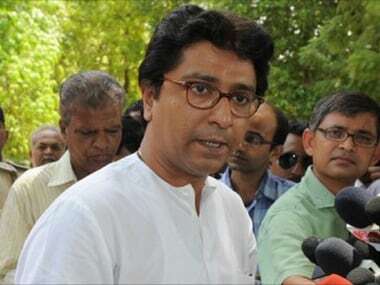 He also recently said, "Tripura will be the BJP’s Waterloo." What do you have to say about that? Whatever he has said in the first line, they are themselves — extremists. They don't have any right to talk like this. And secondly, the IPFT is not at all an extremist party. It is a political party demanding for a separate land to which we don't agree. And that is why there is a common declaration which will come out in a very short period of time. We are committed to the socio-economic development of indigenous people because they have been deprived during the CPM rule. So only on the basis of socio-economic, cultural and linguistic problems of indigenous people—the tribal people of the state—we are joining hands with the IPFT. The Congress is quietly making inroads to these areas. 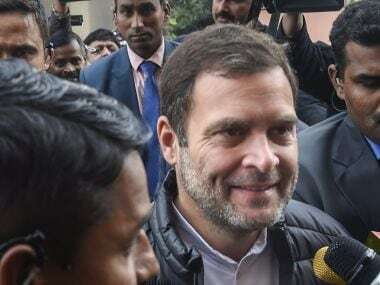 It also performed well in a by-election to the Tripura Tribal Areas Autonomous District Council. It got more votes than both the BJP and Left. Many former Congress leaders and workers are returning to the party from the Trinamool Congress and even BJP. 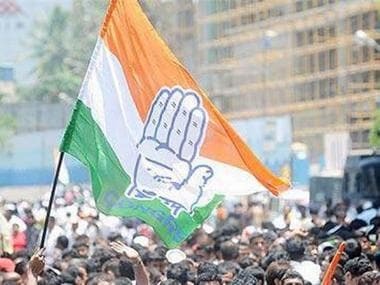 Are you neglecting the Congress threat? It might surprise you. Nobody is taking cognisance of that by-election as the seat in question has been a stronghold of Congress for a long time. So there is no question of the Congress gaining ground in Tripura. Why do you fear free and fair election won't happen in Tripura? Why did you approach the Election Commission recently? Is the electoral roll a concern for you? There is a problem regarding the electoral rolls. So we have placed our problem before the Election Commission. And we have submitted a few names of those who are fake voters and those voters who have died. There are also names of some voters who have shifted out of Tripura for the last six months or more and are not staying in the state. So we have given the list and asked the Election Commission to delete those names. They said that these names will be checked by the Election Commission, to see if our claims are correct or not. If the Election Commission accepts our submission, these voters will not be able to cast their ballot. We have faith in the Election Commission. Only recently, Ratan Lal Nath (who crossed over from the Congress to the BJP) sought security for you. Is your life under threat in Tripura? How serious is the threat to BJP cadres? This is a state where a journalist, who was not inclined to any political party, but was a crime reporter was not safe even in a police station. An SP rank police officer shot him point blank with an AK 47, leading to his death. So how can you say that any person is safe and secure? I am roaming here and there without security. I have not demanded any security. Ratan Lal Nath was worried about my security, which was why he wrote a letter. But obviously, the letter did not elicit any reply from the state government. They want to keep people those who don't believe in their party or ideology (without any security). Will the Centre amend the RTE Act to save the jobs of over 10,000 Tripura SSA teachers? Is it goodwill or electoral opportunism by the BJP? There is a clause in the RTE by which a one-time extension can be given to them. When it was brought to the notice of the HRD (human resource development) minister (Prakash Javadekar) by (BJP leader) Sudip Roy Barman, (Tripura BJP president) Biplab Kumar Deb, said that given a chance, he will do whatever best he can for the people of Tripura. After that, he had sent the matter to the law ministry. The report of the law ministry will come in a few days and after that, the HRD ministry will take measures as per the recommendation of the law ministry. So there is nothing political. 10,323 people are on the roads because they were known as teachers and suddenly they are no longer teachers. They have no respect, no money, no salary. This blunder was committed by Manik Sarkar and his government. The clause which we have found, the legal team of the state government also could have found it but they were neither serious nor interested. They just wanted to engage in politics in this case and that's why they could not find it out. Now there is a way out that there can be a one-time relaxation. How many seats do you realistically believe BJP will win? And if BJP wins who will be the chief minister? We will get a two-thirds majority. And our chief minister will be decided by our parliamentary board. Why should people vote for the BJP? What new will you give them? We will give them a Tripura where there will be no party politics. It will be a Tripura where the government will function for the people and not for a party. Because wherever CPM is there, you can get everything only if you belong to CPM, otherwise you will not get anything. Rather, you will get every negative thing which you don't want. You won't get anything if you don't attend their meetings and rallies. We will give the 37 lakh people of Tripura, a state with law and order where everybody will be safe. We will give jobs to the youth. We will return the lost pride to the tribal people along with their language, land, economy and everything. When I speak about land, I mean that 1.25 lakh tribals are homeless in Tripura. So we have assured concrete houses for everybody in Tripura. Prime Minister Narendra Modi has already assured that by 2022 every poor person will get a concrete house. Our motto is only development -- unnayan.